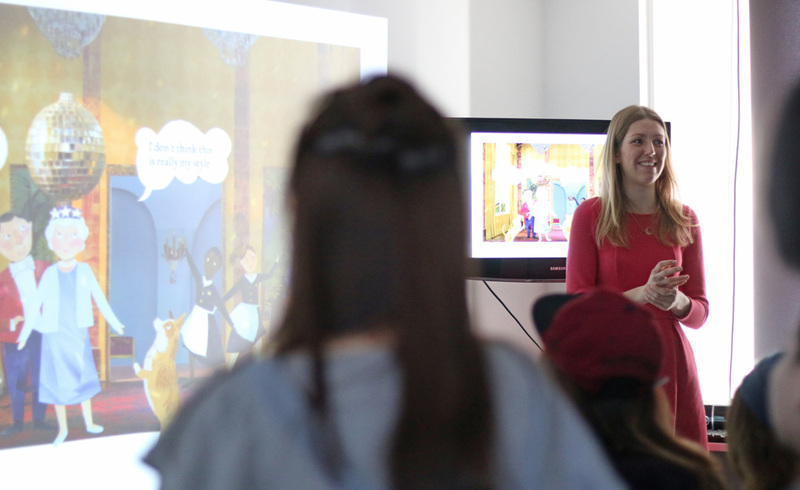 Illustrator and Designer Kate Slater joined us at CSVPA on Monday 13th February to share her experiences and knowledge from University to her Illustrating career. Illustrator and Designer Kate Slater joined us at CSVPA on Monday 13th February to share her experiences and knowledge from University to her Illustrating career. With her experience and inventive use of 3-dimmensional collage, we believed Kate’s visit would prove to be inspiring and eye-opening for our BA Graphics and Illustration students. 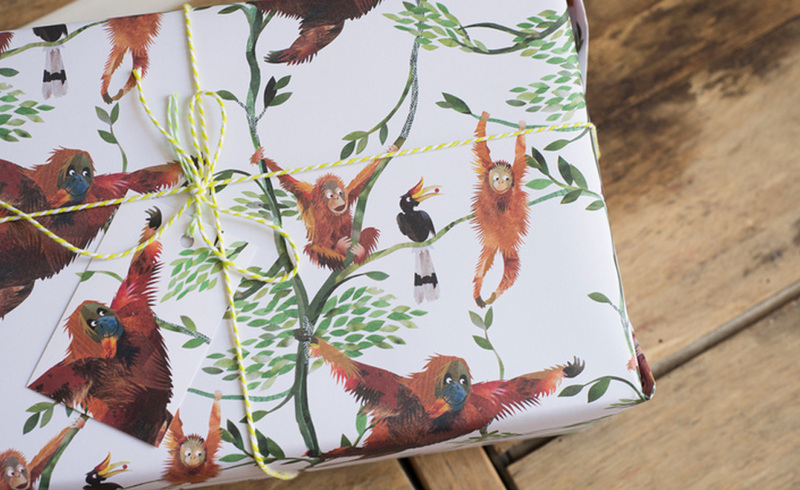 Presently, aside from creating illustrations for children’s books and magazines, Kate has now started crafting her own stationary, wrapping paper and homeware to sell alongside her main projects. These are available to purchase on Etsy and Not on the Highstreet.com. So, what was Kate’s journey? 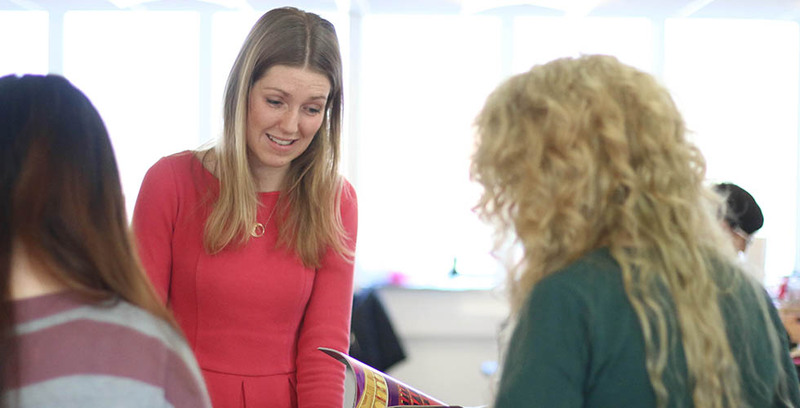 Kate went to Kingston University and found herself gravitating towards collage work. During this time, Kingston encouraged their students to move away from digital work, allowing Kate to experiment with different forms of collage. Here she loved to create big complicated structures, where her work hung from wires, allowing her to add more depth to her designs. After University, Kate emailed a list of people who were invited to their ‘Degree Show’, and included a link to her website. Today, however, she stressed that it is a lot easier now than it was 8 years ago to get in contact with people. Now, people in the industry are more accessible through twitter, Facebook, LinkedIn etc., leaving no student an excuse to not get in contact. Before getting her first paid illustrator job, Kate lived in London and worked out of her bedroom alongside a job in a call centre. This job was very flexible and fitted well around Kate’s work. In the first 6 months of graduating her first commissions involved magazine covers and poster illustrations where she then signed her contract for ‘Magpie’s Treasure’, her first book, at the beginning of 2009. When Kate’s first book was published, which was also her final University project, she confidently thought ‘this is possible’. Despite this confidence boost, Kate then emphasised that after publishing her first book, personally the process did not get massively easier. Later into her career, Kate then took part in a project with The Yorkshire Sculpture Park. The project was unpaid but Kate enjoyed the granted flexibility she had to showcase whatever she wanted in her window display. 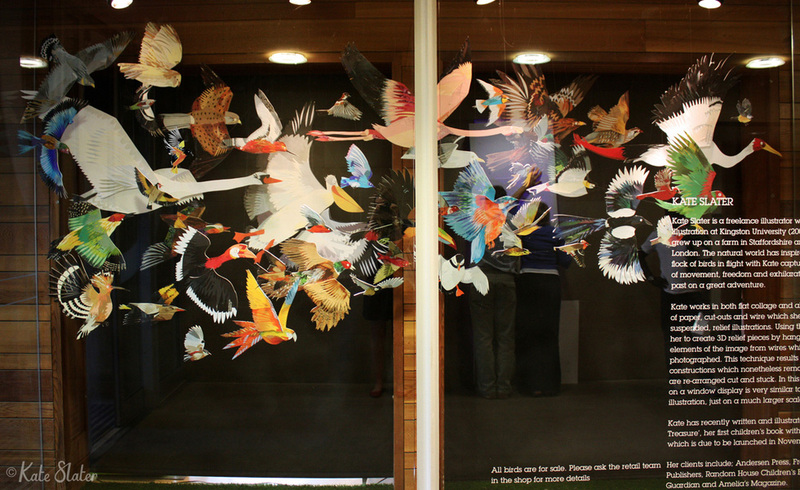 This showcased a display of hanging birds. Two years later, Kate was then approached and asked by The National Trust to fill her birds in an inhabited Chapel on an island off Northumberland. This resulted in her appearing on Blue Peter which she says was ‘officially the best thing ever’. Throughout her Illustrating career Kate has also made the effort to be present on social media by having her own website and social media. This has been particularly useful at times to get work, as one lady mentioned coming across Kate’s Instagram. Kate’s main two platforms of interest and popularity are Twitter and Instagram, so make sure you are on there! During her talk, Kate then went onto mention copyrighting issues which our students may come across in the future. Kate and her work experienced the complexity of this first hand when a large retail store mimicked her work in their window display. If it was not for Kate’s friend, who took a picture and alerted her, this store would have gone unnoticed. This is the less glamorous side of working in the media. She also advised never to sell your copyright, as this means the company can do anything with your work, like display it on the side of the bus. There is always room for negotiation but this is where you have to be careful. Alongside this, a lot of Kate’s work gets designed but never published, this is where contracts come into play. There is a contract for the initial concept and then a second contract to proceed with the rest of the project. Never seeing designs through to the end may be frustrating, however, work can be used in future projects and will always act as evidence of experience and creativity. Overall we thoroughly enjoyed Kate's visit and her artwork and wish her all the best for the future. How did your style and love for collage and illustration come about? I've always wanted to create children's books, so illustration was the natural choice for me. I really enjoy making things, I used to make things like 3D wire sculptures for projects at University, and so collage is the perfect medium for me. This is how the 3D collages began, while at university I started suspending individual pieces from wires to make a relief illustration. Collage is so tactile, and I also love how you can move things around a lot and keep everything quite fluid right up to the last minute. What did you struggle with the most at college or in your career? I think it's juggling all the different aspects of being a freelance illustrator. Finding time to do all the things you need to fit in to run your own business, like self-promotion, keeping a website and your blog up to date, planning ahead, as well as the actual illustrating, meeting deadlines and having enough time to work on your own ideas! I also create and sell a range of stationery, gift and homewares, which I love doing, but I've had to develop a whole new range of business skills relating to this side of my work! I never feel like I'm doing anything well enough. Could you elaborate on the turning point of your career; when Magpie's Treasure got published and how that gave you confidence? After I graduated, I went to meet quite a few publishers but it was Andersen Press who were really interested in the story I'd written and illustrated for my final major project at university. I did lots of work on the illustrations (originally they were in my 3D style and the colours were much more muted) until eventually we decided to create the artwork as flat collages instead. It was such a confidence boost when I finally signed my contract with them, it really helped me take the leap into illustrating full time.